The Jeep Grand Cherokee SRT is a vehicle with everything going for it; refined and powerful, stylish and muscular, yet highly functional. The SRT model has more torque and horsepower, which offers a spirited drive and will leave you comfortable no matter the environment, whether you are on the race track or driving your daily commute. Also available is a Red Vapor special edition package, and Active Noise Cancelling technology to make for a comfortable ride. The Grand Cherokee SRT is powered by a 6.4-liter HEMI V-8, which delivers 475 horsepower (354 kW) at 6,000 revs per minute, and 470 pounds-feet of torque. Additionally, there is great Fuel Saver Technology which is linked to an eight-speed automatic transmission, which works to maximize your fuel economy. The transmission allows for a more driver-controlled experience, with a functional steering-wheel with paddle controls. The SRT boasts 0-100-0 miles per hour (mph) in 16.3 seconds, brakes from 60-0 mph in 116 feet, runs from 0-60 mph in 4.8 seconds, has a top speed of 160 mph, and can cover the quarter mile in the mid-13 second range. The SRT has an aggressive yet approachable style, featuring headlamps with a unique black background, seven-slot upper grille with black screen insert flanked by slimmer, signature LED character lamp treatment, and adaptive bi-xenon headlamps. 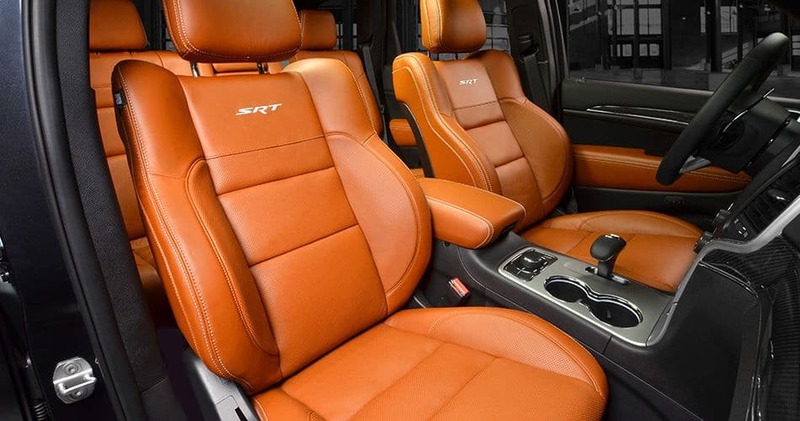 The interior is truly elegant, with an SRT-exclusive heated three-spoke steering wheel with a flat bottom, expertly placed to give a perfect view of the gauge cluster. The gauge cluster has a 7-inch full-color customizable instrument display, and allows customers to configure the layout to their liking. Additional technological features include a great Uconnect 8.4-inch touchscreen display, which allows drivers to track 0-60 mph times, recent track times, and lateral acceleration. There is also a great built-in 3G Wi-Fi connection. The Grand Cherokee SRT has an impressive variety of safety and security features. With the Uconnect system, there is access to local 9-1-1 service personnel, and cellular technology. There is also Blind-spot Monitoring and Rear Cross Path detection, and Forward Collision Warning. 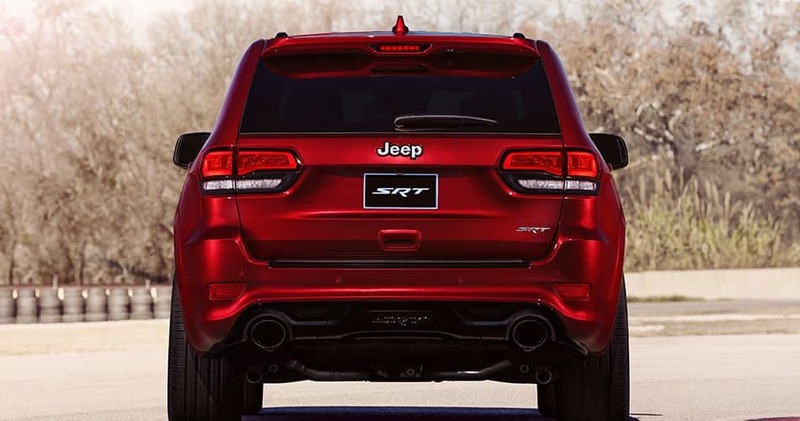 Would you like to learn more about the remarkable 2015 Jeep Grand Cherokee SRT? Give us a call at Reedman, and we would be happy to fill you in!